Los Angeles, California - Sept. 2, 2016 - Pixologic is pleased to announce ZBrushCore®, a streamlined version of ZBrush designed for all artists and enthusiasts of both traditional and digital art. Pixologic is pleased to announce ZBrushCore, a streamlined version of ZBrush designed for all artists and enthusiasts of both traditional and digital art. At its heart, ZBrushCore is the same as ZBrush. 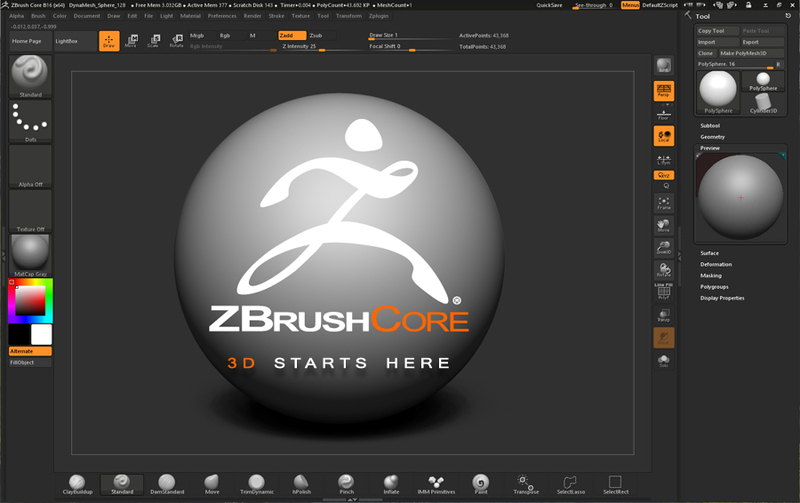 All features in ZBrushCore are also found in ZBrush and everything learned will directly translate to its big brother. The difference lies in the intended use of each software.